Caroline and I had our first glimpse into what the travel industry is like when you pile everyone into a travel show and begin to see how one riverboat cruise can look just like the other across the aisle. While we learned a lot about what not to do in travel while at the show, we learned a lot of incredibly valuable bits from various speakers and panels about what we should do. We share that and more in this podcast episode. 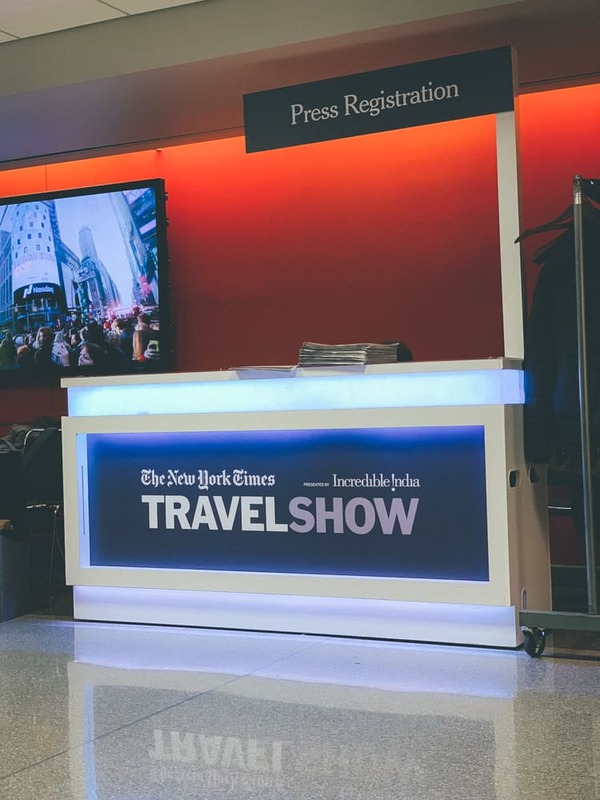 New York Times Travel Show – this is hosted every year in New York City so we figured it made a ton of sense to make a weekend out of it. Seth Kugel – a former Frugal Traveler for the New York Times. He shared a ton of valuable and interesting insights into this world of travel. Ian Hoyt: You should see the visual I see right now of you like, huddling under the blanket because it’s so cold in our apartment and we’re on the floor in our room, and she’s holding the book under the blanket. Ian Hoyt: Hey there, fellow nomads. This is Ian. Ian Hoyt: And this is the Life Nomading podcast. Ian Hoyt: Welcome back, fellow nomads. It’s Ian again. Ian Hoyt: And it’s another episode. I’m pretty pumped that we are able to keep this going. Caroline Lloyd: Every Monday, we’re here. Ian Hoyt: Every single Monday. 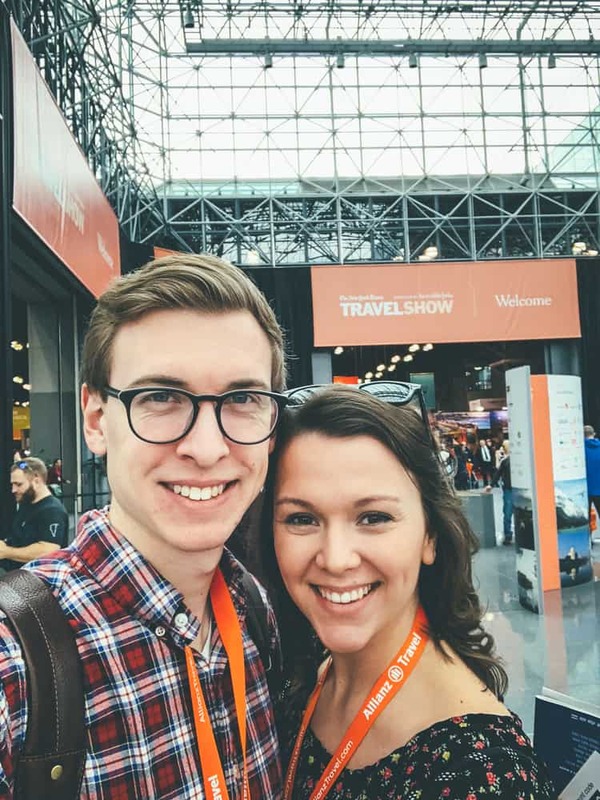 And in this episode we’re going to recap a little bit about our previous weekend at the New York Times travel show. Now, I don’t know about you, Caroline, but it’s the first time I’ve ever been to a travel show or a travel conference. So we had a lot of interesting things we took away from that and I just want the listener to know, right off the bat, this is kind of an open forum. A fireside chat, if you will, recapping some of the stuff we learned. We realize that we’ve been in the travel world for the last few years, but we’ve never really known any of these industry terms or the people in the industry or the companies and in a lot of ways (and we’ll get to it more later) I think that’s actually a good thing, but we’ll get more into that later. So initially I kind of want to start the conversation with you, Caroline. What were some of the things, or at least two takeaways, or just how do you feel going into the travel show? Caroline Lloyd: Well I didn’t really have any expectations, you know, just as a consumer basically the travel industry seems, you know, just as an open playing field, but as soon as you walked in to that big hall with lots of vendors lined up, you started to step back and realize, okay, this is pretty much an industry just like any other that capitalizes on these consumers. Ian Hoyt: Which is so weird. It’s so weird to me because I’ve always envisioned travel as being this like open road, free playground to like craft whatever like thing or idea you have. Caroline Lloyd: Honestly, just the fact that there is an industry around travel seems very odd like yes, travel should exist in modes of transportation, but now I was just looking down these rows of countries being represented by tourism boards and, quite honestly, a lot of businesses that I would talk to the people and walk away and still not understand what they did. Ian Hoyt: For context, I mean, if anyone listening has been in a sales role or just in business in general. You know how when you go to a conference, you see the inner workings of how an industry works. I.E. Just how, for lack of a better word, kind of incestuous it can get, You know, this person is subbing out this with this person and that person is subbing it out for this person, and so on paper a consumer is taking some type of trip, but in reality, who knows who is actually operating it. Caroline Lloyd: Those nice little ads that you get on instagram for trips; There’s a lot more business going into that then what you think. Ian Hoyt: And then there’s this other silo, of like – I don’t want to say adventure travel, but I want to say the solo traveler or the person that is looking for the opportunity for coincidence and for the unknown and for what travel, typically, in my brain, affords you. And it’s not about money, it’s about what it affords you when you’re there, and your time, and your ability to kind of just be. Caroline Lloyd: So overall, I think some things that we noticed were that the world is pretty cool. I learned about some places that I didn’t know existed. The world is also pretty small. I felt like there was a good representation of a lot of places, geographically speaking. I think we also learned that, like you said, everyone is kind of intermingled with each other in business practices. And I also really want to emphasize this, that there are many different ways that people travel. Ian Hoyt: Yeah. And from that standpoint of, you know, a lot of people travel in a lot of different ways and in a lot of different spectrums. On the extreme side, the side that we’re definitely not familiar with is kind of a super luxury travel. Whether you’re with a group or not, this is just Bougie for Bougie sake and it’s not so much about experiencing maybe the local culture or really digging deep into like how a local lives or just like what it’s like to live in the place you’re going. I think the super luxury really kind of taps into the like, okay, we’re going to do this awesome thing. We’re going to stay at these awesome places and that’s where it ends. Caroline Lloyd: We’re gonna eat and drink a lot and not really interact with anything that’s going on in the geographical area. So then there’s like medium luxury. So this is not just throwing money at the wall for an all inclusive resort, but a little bit more budget friendly. And this is kind of where I think group trips start coming into play. 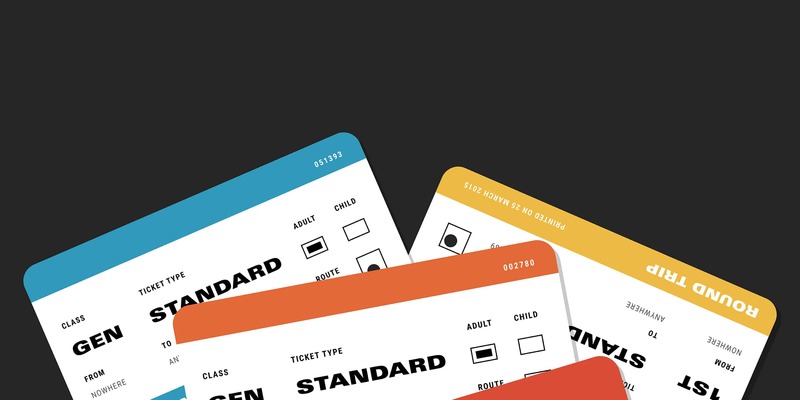 There were definitely some luxury group travel arrangements that were available to people, but it was still somewhat removed from the people and the place that you’re traveling to. And then from there we get into traveling pretty much on your own, not with a group. And from there, you know, there’s a medium tier and then there’s literally the shoestring budget which gets into backpacking and hostels and things like that. And that really was not represented at the show, which makes a lot of sense, right? Because it’s travel industry and the travel industry doesn’t want to talk about the thing called Airbnb or doesn’t want to talk about hostels as much as they do about hotels. Caroline Lloyd: It was like a weird thing. I felt like no one wanted to say the word Airbnb. They were talking about Tripadvisor and like all of these other tools, but I felt a little bit of hostility towards Airbnb, actually. Ian Hoyt: You know, I’ve seen this in different industries that I’ve worked in as well. And the same thing is true. I don’t want this to be an outcry for the industry, but I’m just saying they have this, known naivety like shield in front of their eyes. Caroline Lloyd: I don’t think they were naive to it. I think they literally chose to ignore it. Moral of the story is things are changing and we’re going to see a big alteration in the travel industry as we know it. It already is changing, I feel like. Ian Hoyt: People want choice. People want to explore on their own. They want the opportunity to discover, and I’m not trying to put words in every single person’s mouth because everyone has a different scenario, but when we walked in there, I definitely felt like we were kind of outsiders and I felt okay with it. I felt like, okay, I don’t know some of these industry terms. I don’t know these people. And while it’s great to meet all of them and know what exists, I’m really excited about kind of where we have positioned what we offer because it’s not knowing any of that. I like being naive to that. Caroline Lloyd: I think we should also point out that of the people that were in attendance of this conference, a lot of the people were over the age of 45. Ian Hoyt: Yeah. And there’s nothing wrong with that. Right? So there’s so many different levels of travel and I think the biggest takeaway that we got was actually going to talks and panels at the conference themselves, because then we were able to see some other opinions and learn more from people. And what I learned was there are no right ways to travel. You can have your opinions on what are wrong ways to travel, but everyone in different age groups with different missions in mind, they deserve to do what they want to do. And so just to hit home that fact, the 60 year old that wants to go on a river cruise is going to be much different than someone like ourselves that are, you know, mid twenties that want to maybe have a grittier, more exploratory mission in mind. And that’s okay. Caroline Lloyd: Let me ask you something, because I don’t know your opinion on this. Do you think it has always been this way? Like do you think there are certain trends towards age eras in a person’s life? So like when we turn 60, yeah, a riverboat cruise sounds pretty nice. Is there a reason that everyone at that show is over the age of 45 because that’s what was represented in the vendors and that is what you naturally want when you reach that age? Ian Hoyt: That’s a good question. I don’t even know. I mean, I know that historically I feel like we get a lot of stories and a lot of people that are in their twenties that want to do this quote-unquote backpacking or all that stuff. Caroline Lloyd: That’s a new concept. Ian Hoyt: Yeah. It’s not a new concept. Like you said, when you’re a much older you don’t hear about people backpacking through Europe. Caroline Lloyd: Well, I mean, I hope that I will still be doing that when I’m that age. We met a couple when they were in Vienna from Australia, I think, and they were on a cycling tour. They literally had cycled some stupid amount of miles on their own just traveling the world and they were like 70, 60 years old? Awesome people that we met. Ian Hoyt: Yeah. So I don’t know. I don’t know what the answer is. I feel like definitely like physical capabilities change. You know, if, if you have the quote-unquote travel bug, you’re always probably going to want to travel. And so I think just finding the mode of travel that allows you to do so. Caroline Lloyd: But like at a certain point we’ll tap out of hostels. Ian Hoyt: I don’t know, but I don’t think it’s fair for us to make that opinion because I think we’re also maybe a little skewed outside of the normal traveler. Caroline Lloyd: We’re also naive because we were still in our twenties, so who knows? Anyone else outside of that age range, please comment, tell us young ones how it’s going to be. Ian Hoyt: And then we’ll say it probably isn’t going to be that way. Ian Hoyt: “Have an authentic experience.” “Explore culture.” These are all things that we read booth to booth. And while some of that could be true, it was just frustrating because we knew, for the most part, these companies were just using it from a marketing standpoint and that’s okay. Caroline Lloyd: But it also, at one point in time, came from an honest sentence. And we don’t disagree with that. Ian Hoyt: We don’t disagree with the premise. And I think the big takeaway that we’re trying to say is we checked ourselves at the door there. We realize that, you know, if we’re going to use some of this copy, some of the things that they say. You know, we use some of the words in our Life Nomading advertising, but we’ve got to really believe it and we’ve got to really own it and make sure that it’s a part of every trip. Every person that were to come on a group trip of ours and anything that we do, we just were like, whoa. Like we can’t take these words lightly. These other people are using them and you see right through it. So if we’re going to use these words, if we’re going to use these statements, we have to make sure they’re genuine always. Caroline Lloyd: So we went to a couple of talks during the show and some of them were really great. And one that we happened upon was the New York Times Frugal Traveler panel. And for reference, this is a column by the New York Times where they give a columnist a budget that’s fairly low for that region and they go and have to write about their travels while only staying on this budget. Ian Hoyt: For example, I think the one they mentioned while on the talk was like, what $100 in Oslo for a weekend or something? Caroline Lloyd: And the comment that was said on the panel was, that’s the price of a beer there. So they have to be kind of creative, but quite honestly that’s how a lot of people our age, students, backpackers are seeing the world. And I think there are a lot of benefits to traveling that way. You get into a lot of situations that you wouldn’t normally get yourself into. But kind of comparing that back to, you know, this kind of travel industry shtick that people were revolving around right now,. One of the panelists was Seth Kugel who we ended up buying his new book that just came out called “Rediscovering Travel.” And pretty early on, honestly, I’m not through the book yet. I am enjoying it slowly. Ian Hoyt: We’re both very, very slow readers. Caroline Lloyd: I just really want to take it all in and sit on it for a little bit, because it’s a new philosophical way of traveling that I think is true to our core, but when you say it out loud, it makes you take an outside perspective. But one of the really poignant moments in the first portion of his book is talking about how expectations are pretty high and after reading all of the copy on these advertisements for group trips and travel industry people, obviously, with those words, the expectations are set at a very, very high level. You’re going in wanting to have a life changing moment, and he says, “Anything short of a life changing epiphany would have been a disappointment and it’s pretty hard to have a life changing epiphany while surrounded by crowds, pretending to have life changing epiphanies.” And this goes really deep into instagram culture and like Tripadvisor reviews and how we set the bar so high on travel and how it’s contradictory in and of itself. Ian Hoyt: Yeah, it was pretty powerful. He had his own talk after that talk, which we ended up going to because we just really appreciated what he had to say. And he really hit home a lot of the points he made in the book and we will definitely link to the book in the show notes if you’re interested. But anyway, going back to the point that you just made about that, I think that was really the biggest takeaway from his talk was a similar theme. Caroline Lloyd: So basically the conclusion that we came to was travel started as this life changing capable experience and then the travel brand took hold of that and regurgitated it everywhere. And now people’s expectations are so high that either they’re pretending to have life changing epiphanies everywhere that they go or are just disappointed. Ian Hoyt: And to that point, another aside would be Sarah, one of our members at Life Nomading. She actually had a conversation and there’s an article coming out that she wrote about that very topic when she was in Bali, and all these expectations that people put around Bali and how her and Mitko were just so kind of like disappointed, kind of stressed out, and just the expectations were so high. But the realizations were so low like there was such a gap. Caroline Lloyd: And we could get so far into this, you know, and that that goes into reading articles before you visit a place, and visiting that place because other people have gone and you know, trying to plan out your trip and all of this stuff that goes into what you expect travel to be. And quite honestly, we’ve talked about this before, the best memories of travel are the serendipitous moments that sometimes in a moment feel miserable and then end up being the story that you tell all your friends when you return. Ian Hoyt: In a very contradictory way, I really like to approach travel by setting the bar really low. Not having expectations, not having a bar of, oh, I need to see this, oh, I need to feel this way, and when you shed yourself of that. For example, we have a group trip to Bulgaria, no one knows about Bulgaria. We don’t set any expectations for you, but if you can go into it with an open mind with low expectations, I guarantee you’re going to be more open to experiencing whatever it is. We can’t control what you’re going to experience. We can’t control your feelings, but you can’t have those feelings or those opportunities to do things if you’re so focused on the stuff that you’ve got to see, the things you’ve got to go to, and the vibes you get, and the instagrams. You really have to set a low bar for travel, and that’s the only way you’re going to find a way to experience. Caroline Lloyd: I mean, just a way to look at this: If you talk to anyone who has traveled within the past year and you ask them about their trip, sure, they’ll list off all the things that they saw, but the story that they will tell, and you kind of have to listen with an analytical ear, I guess, but the stories that they tell are normally the things that weren’t on their itinerary to begin with. Ian Hoyt: I mean, for example, when I was in Quito, Ecuador, and we were doing a back country motorcycle, two day trip to Mindo. My friend and I were trying to find this waterfall. This waterfall that was on the map, on the guided map for the motorcycle thing. And we couldn’t find it and all sudden we just stopped with our motorcycles on the side of a road. At this gate we thought it was the waterfall, right? But instead it was this very old and very kind lady that did not speak a single word of English. And we just tried to ask her where the waterfall was. Right? Ian Hoyt: And she was very confused and we pulled up Google translator and we tried to communicate and through very, very broken Spanish, we were able to gain entry into her property. And we thought we were going to this waterfall that was on the map, and instead we under the impression that we only had about 30 minutes to follow her down the side of this mountain to this, what we thought was the waterfall, right? We’re walking down and finally we get down this really steep side of a mountain. She’s running down it. She’s like 70. And we can’t keep pace because you’re at like 9,000 feet or whatever. Long Story Short, we get to that waterfall. And while it isn’t the waterfall that we thought we were going to the journey and meeting that person that was a local there in Ecuador that we would have never met and we would have never been able to see if we weren’t open to those opportunities. And that has been one of the highlight stories of my life. And we met her. We got to look at this waterfall, we thought we were under pressure and so we had to run back up the mountain because she left us down there and then when we got back she was like, oh yeah, you got like a couple of hours. And so long story short, what I mean by that is exactly that, like you have to be open to seeing and doing things outside of the plan. Caroline Lloyd: So yeah, I like to think that real travel happens when your travel plans go wrong. To sum it up. Ian Hoyt: And not to get so weird but like wrong is relative, right? Because wrong, is assuming you have a plan. Ian Hoyt: So going off of that, I think the biggest takeaway is we really appreciate our time at the New York Times travel show. We were enlightened, we met some awesome people and we took a lot of information away from that on how we can make what we’re offering in trips better. Caroline Lloyd: I think we should also just say we really did meet some really wonderful people, but mission driven organizations and really great places of the world that I hope that we can visit one day. And I think there’s a lot of good things happening in the travel industry right now, but the main takeaway is what we just talked about. Ian Hoyt: And with that being said, now, we have put a lot of these things in place before we even approached thIS show for our trips. Caroline Lloyd: On a personal level. We kind of travel with this mindset already. Ian Hoyt: And we just realized that although we’re offering these trips and we’ve done trips in the past with small groups, we really want to take away a lot of the things we mentioned that we really believe in and integrate those into our trips even more. I.E. really hunker down and focus on the ability to have experiences on your own, and have more freedom and ability to be open to the culture and the world around you when you’re in a new place. Caroline Lloyd: So whether that means you know, a lot of free or just allowing people accessibility into places so they aren’t traveling alone, because not everyone feels safe or comfortable traveling by themselves. We’re offering a group of like-minded people that are wanting to experience it as if it’s the first time they’re together. Ian Hoyt: Yeah. So for example, we have an upcoming trip to Bulgaria that is available and it’s 10 days. And initially, quite honestly, we were going to include everything we thought you should do, but we’re going to actually pull that back. Caroline Lloyd: Because why is it our decision to choose what you do while you’re in a new destination? Ian Hoyt: And while, although we’ve always said, you know, if you want to stray away from the pack, go for it, you should do that. We’re integrating that even more into our quote-unquote non itinerary. So while though it’s a 10 day trip, we cover your lodging and your transportation. Everything else is kind of ad hoc. You do what you want. We’re going to be around there. We’re going to be doing our thing. Come along for the ride and experience what we experience, but maybe you want to go off the beaten path and that’s okay. We’re here to help facilitate, but mainly we’re here to cover some of those really basic details. Get you in a new place, give you some other people that maybe connect with or maybe not and let’s take it from there. We have a lot of different things and ideas planned and we’re going to do them ourselves and you have the option to participate or not at your choice. Caroline Lloyd: Group travel for the single traveler. Ian Hoyt: Yeah. Or the couple. Caroline Lloyd: I really think, and we learned this from our trip last summer, we had so much fun with a group when we went with Mitko and Sarah, and honestly, wanted to share that experience and this is how we’re doing it. Ian Hoyt: Yeah. And so if you want more details on that, you can obviously check out our website. You can find the Bulgaria trip more specifically at LifeNomading.com/Bulgaria. And you’ll see what we’re talking about there. We’ve dramatically cut the price to just cover the lodging and the transportation and some, a couple of dinners here and there for like the opening night and stuff, but dramatically cut the price so anyone can really get involved. And we’re only taking like eight people. So we’re going to keep it small and we’re going to have just a fun, fun time. Caroline Lloyd: Super great shout out to everyone that we met at the travel show. Shout out to Seth for this awesome book. 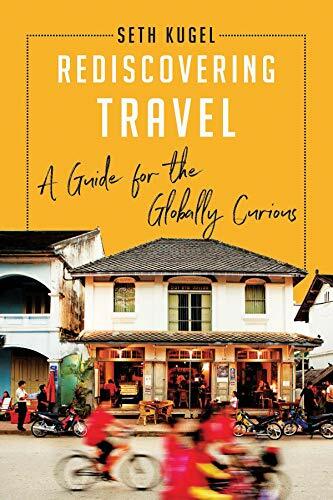 You should definitely read it if you’re into traveling or just, honestly, exploring anywhere in the world that you currently are. I think it gives a great view on how to be a constant explorer. Ian Hoyt: Quite honestly, he’s an inspiration to both of us. I mean we learned so much in that you know one or two hours of just listening to him and reading the book and we’re excited to dig deeper into some of his philosophies. Caroline Lloyd: If you could subscribe, we are on Itunes, Overcast, and Spotify. Leave us a review on itunes. That would mean a lot to us. Ian Hoyt: And we love connecting with everyone. So please, if you’re listening to this, send us a DM on instagram @LifeNomading and we can kind of learn what your deal is with travel. Caroline Lloyd: So that’s it. Until next time, we will see you here again. I’m Caroline. Ian Hoyt: And I’m Ian. And go explore something. Founder of Life Nomading, Ian Hoyt has devoted the better part of his adult life to exploring and sharing his travel experiences with others through the Life Nomading podcast, blog, and group trips. In his free time, he travels, and then travels some more, and then enjoys guilty pleasures like NYC Prince St. Pizza or local Harlem eats when at home base in New York City.